Super Wubble Ball Is The Strongest Yet! I know it’s only the first day of fall but I am already thinking about Christmas time. I am a bit of a planner so I think of gifts months in advance. 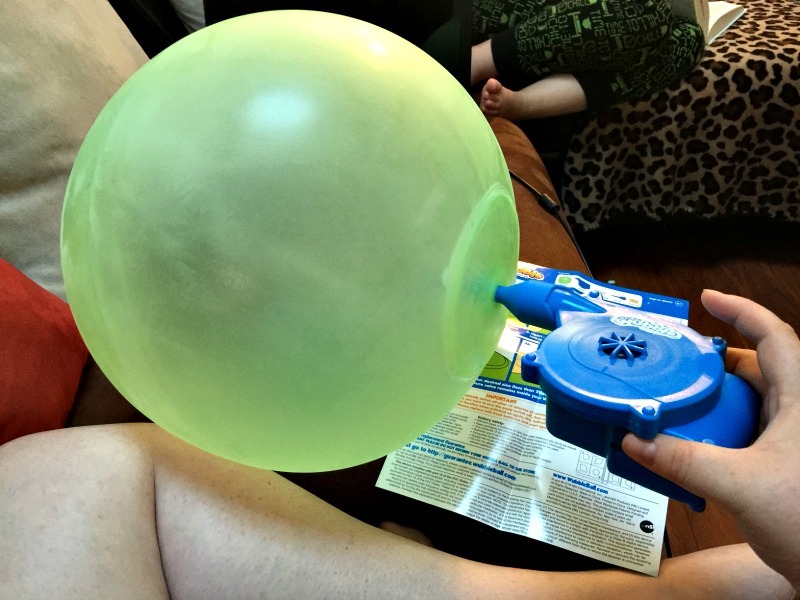 So when I was given the chance to try out the new Super Wubble Ball I was stoked to check it out and see if it would be a good gift for the kids in my family. 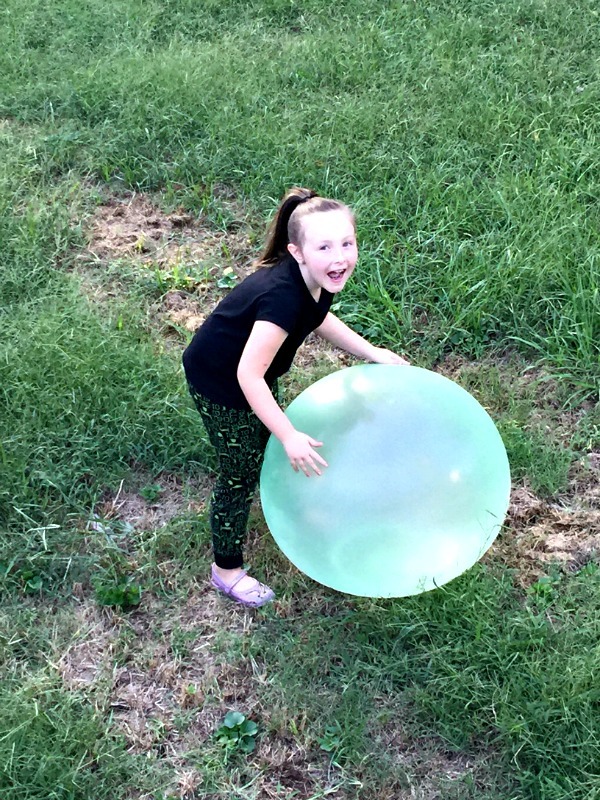 We have had other Wubble Balls in the past that were a lot of fun, but we lost them thanks to some sharp sticks in the back yard. We were ready to give these brand new stronger Super Wubble Balls a chance. 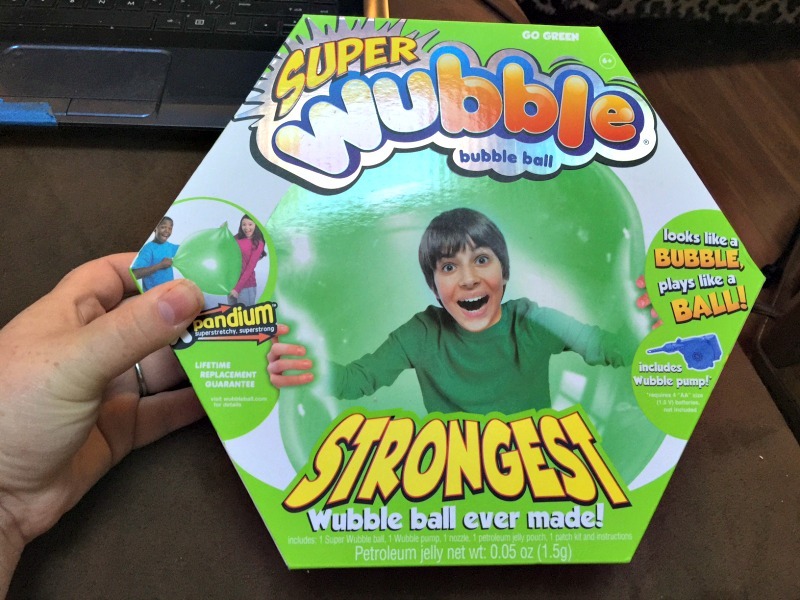 So what makes the new Super Wubble Ball different? Super Wubble is up to four times stronger and more tear-resistant than the original Wubble Bubble Ball. Made with a new super stretchy material called Xpandium, it’s super smashable and super squashable. Bounce it, throw it, kick it, smoosh it, smash it, even sit on it! Sit on it? Yes really! That was actually my daughters favorite part of playing with it ,ha! 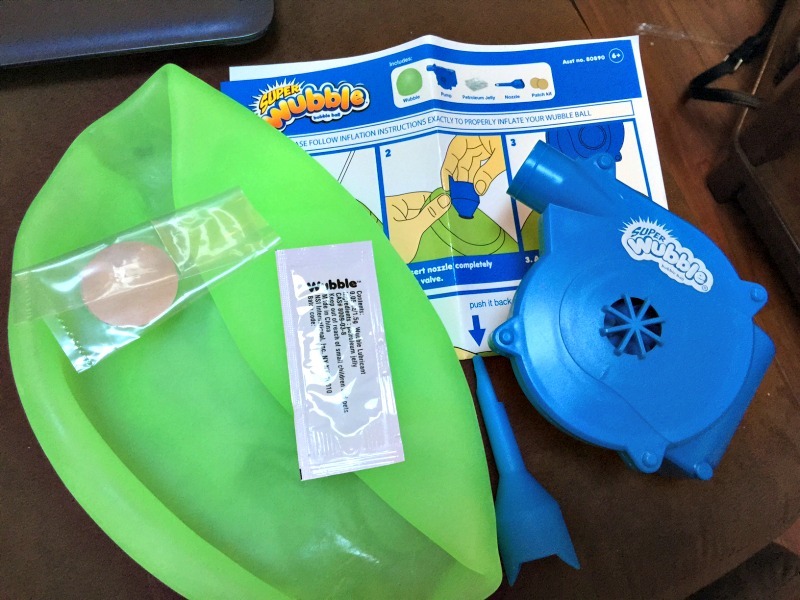 The Super Wubble Ball comes with everything you need (minus 4 double A batteries) to blow your ball up. Set up was SUPER easy and fast. In less than 5 minutes you will be ready to play. In conclusion, we are super stoked about our new Super Wubble ball! Anything that gets my kid off the couch and outside to play is an A+ in my book. I am putting this on my gift list for all the kids in my little family and you should too! 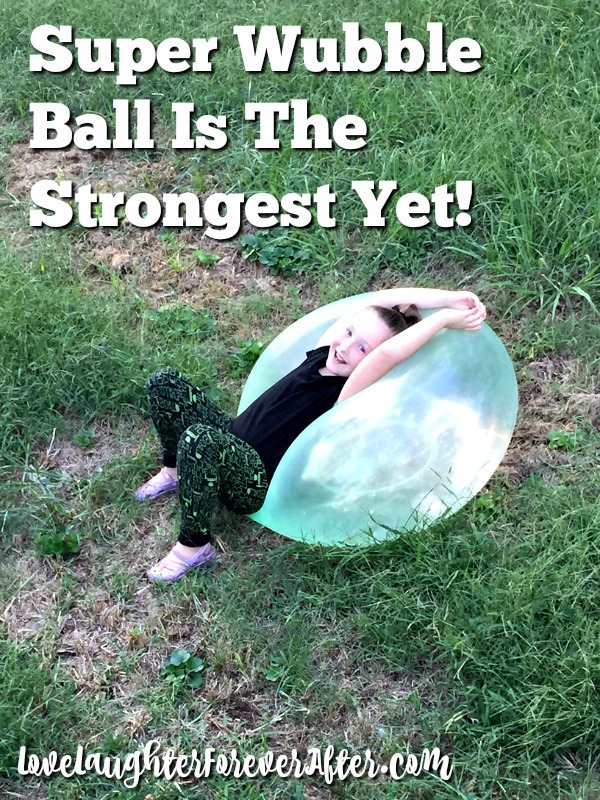 Head to The Wubble Ball Website to purchase yours!